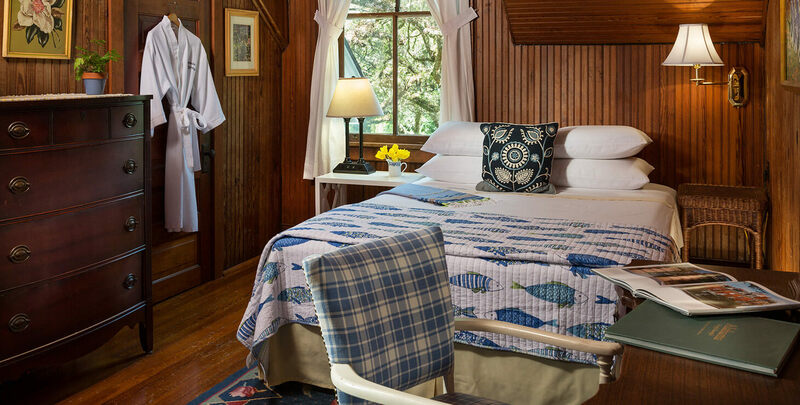 Escape to an ideal romantic atmosphere in the upstairs Worthington room at our bed and breakfast near Fairhope, Alabama. This nostalgic room with plush queen bed looks south towards the front yard and canopy oak trees through the original wavy glass window. The sitting area offers a private spot for reading, personal reflection, or watching the flat screen TV. A gorgeous and peaceful retreat complete with all the touches one would expect. Brimming in period detail, the décor is the model of what an old “Southern” bedroom should be. An in-room Therapeutic Massage in one of our romantic king rooms.